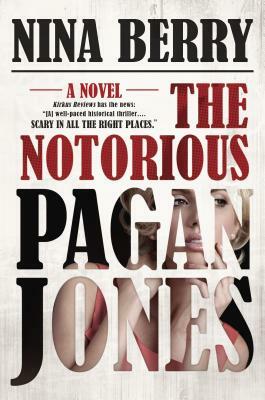 Pagan Jones went from America's sweetheart to fallen angel in one fateful night in 1960: the night a car accident killed her whole family. Pagan was behind the wheel and driving drunk. Nine months later, she's stuck in the Lighthouse Reformatory for Wayward Girls and tortured by her guilt--not to mention the sadistic Miss Edwards, who takes special delight in humiliating the once-great Pagan Jones. But all of that is about to change. Pagan's old agent shows up with a mysterious studio executive, Devin Black, and an offer. Pagan will be released from juvenile detention if she accepts a juicy role in a comedy directed by award-winning director Bennie Wexler. The shoot starts in West Berlin in just three days. If Pagan's going to do it, she has to decide fast--and she has to agree to a court-appointed "guardian," the handsome yet infuriating Devin, who's too young, too smooth and too sophisticated to be some studio flack. The offer's too good to be true, Berlin's in turmoil and Devin Black knows way too much about her--there's definitely something fishy going on. But if anyone can take on a divided city, a scheming guardian and the criticism of a world that once adored her, it's the notorious Pagan Jones. What could go wrong?